Travel period: Economy: Oct 20 - Nov 3, Nov 17 - Dec 10, 2019. Premium Economy: Jun 24 - Jul 8, 2019. Business Premier™: Jul 6 - Jul 15, 2019. Sale ends April 30, 2019 for Economy and Premium Economy and ends April 29, 2019 for Business Premier™. Advanced Purchase: 120 days for Economy, 7 days for Premium Economy and Business Premier™. 5 day minimum stay for Business Premier™. Maximum stay 350 days. Adelaide is almost surrounded by grape-growing regions and they all come with cellar doors that exist only to celebrate and share the glory of South Australian wines. 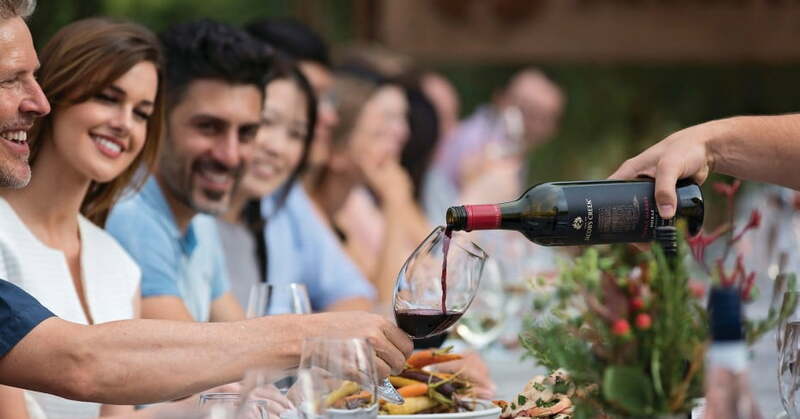 Whether you guide yourself or join one of the many Adelaide food and wine tours available, you can sip your way through a flight of tastings or enjoy a couple of glasses in the garden, with an antipasto platter for company. ‘The 20-minute city’ is the kind of place where you never have to think too hard about your next excursion. There’s so much to do, and everywhere is easy to get to. Where there’s great wine, there’s great food. Some of the most innovative restaurants in the world are found in Adelaide. In South Australia you can discover the joys of destination dining; unique eating experiences that will really impress your foodie friends back home. Some of them are five-star fancy; others are super-relaxed and at one with nature. 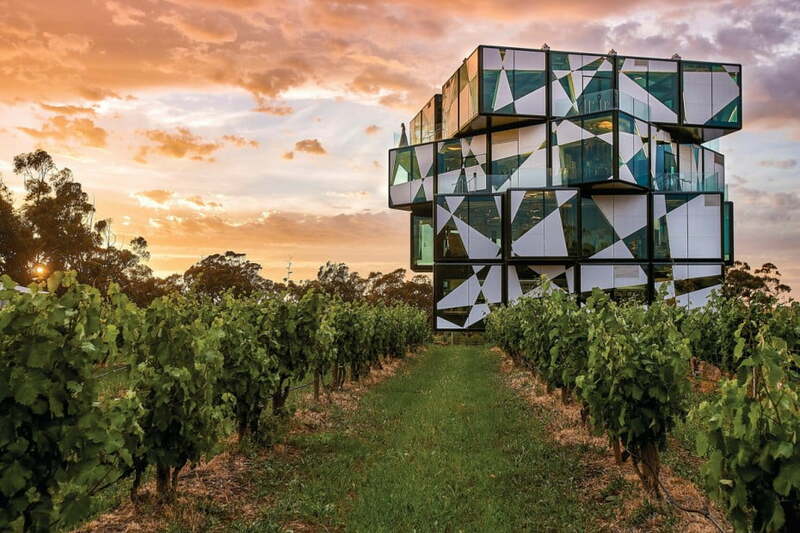 McLaren Vale's premier destination dining venue is the d'Arenberg Cube Restaurant. Here you can ooh and ahh your way through an 11-course degustation menu, with wine pairing if you want it, in surroundings where the amazing views are equal only to the art. This place is one-of-a-kind in the global wine world. In South Australia, you don’t have to look for wildlife. It is just part of everyday life. Start with Kangaroo Island, whose name says it all. Just a 20-min flight from Adelaide, this zoo without fences abounds with kangaroos, koalas, sea lions, hundreds of bird species, and more, all roaming about in their natural state. Or, go a little further West from Adelaide to the Eyre Peninsula and Port Lincoln. Known as the aquatic playground of Australia, some of the experiences include swimming with seals, and (for the braver ones) cage diving with great white sharks. The region is also abundant with fresh seafood: enjoy fresh oysters right of the ocean as you tour an oyster farm (complete with hip-waders) in Coffin Bay; Or dig for cockles on the beach, where your guide will cook them on the spot. Fare/Pricing Details - Round trip airfare in Economy Class per person between Vancouver (YVR) and Australia. Travel may be via our Vancouver gateway on Air New Zealand-operated trans-Pacific flights. Travel within Canada and US is provided by Air Canada (AC), WestJet Airlines (WS), Alaska Airlines (AS) or United Airlines (UA) in Economy Class. Fare is subject to availability and may be withdrawn at any time. Fare Listings are for general information only and not a reflection of current seat availability.